Some cool new Funk MMPR products are coming soon according to Tokunation and they look pretty great. Ironically I was just admiring the super sized Scrooge McDuck Pop at my local Target yesterday and thought it was super cool. 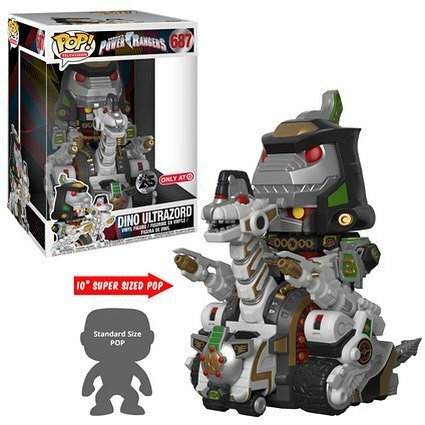 I'm definitely going to grab this awesome Ultrazord. I mean, look at that thing! Also of note is some more Hero Factory figures, which I also was noting yesterday that I need to grab that 5 pack of the main five Rangers before it disappears (I have both Tommy sets). All I saw was a Lord Zedd and Goldar set, but I'm hoping for some more baddies. Those hero factory guys are neat. Just stylized figurines that don't look too bad. I think what gets me more than anything is the Gamestop exclusive Pumpkin Rapper. I plan on stalking my local Gamestop for this guy. Considering it's next door to our local Yankee Candle I doubt I'll have a hard time doing so. I know he's not intended to be a Halloween decoration, but he's going to be. Aside from my TF and PR Christmas tree decorations, I don't infuse too much of my silly nonsense into our holiday decorations. 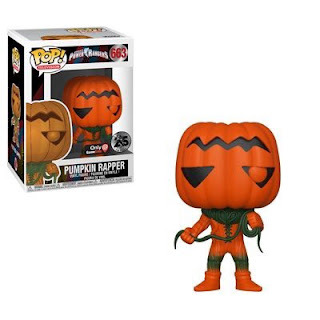 Though considering that he's from a Halloween episode and well... a jack o lantern... he's going on the mantel.